Add cream cheese and whisk to melt until smooth. Add garlic salt and stir in heavy cream. Allow to boil for 1-2 minutes until heated through. – In a baking dish, spread 1-2 tablespoons of prepared alfredo sauce. 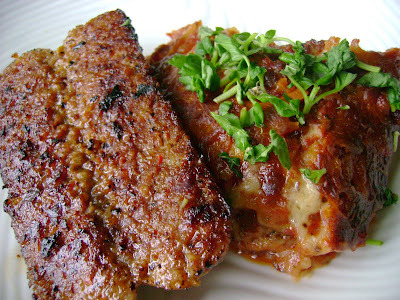 – Place a layer of 3 dry lasagna pasta sheets. – Top with half of the chicken, squash, zucchini and mushrooms. – Sprinkle with half of the cheeses. – Place another layer of 3 dry lasagna pasta sheets. – Spread enough prepared alfredo sauce over pasta sheets to cover. – Top with remaining chicken, squash, zucchini and mushrooms. – Sprinkle with half of the remaining cheeses. 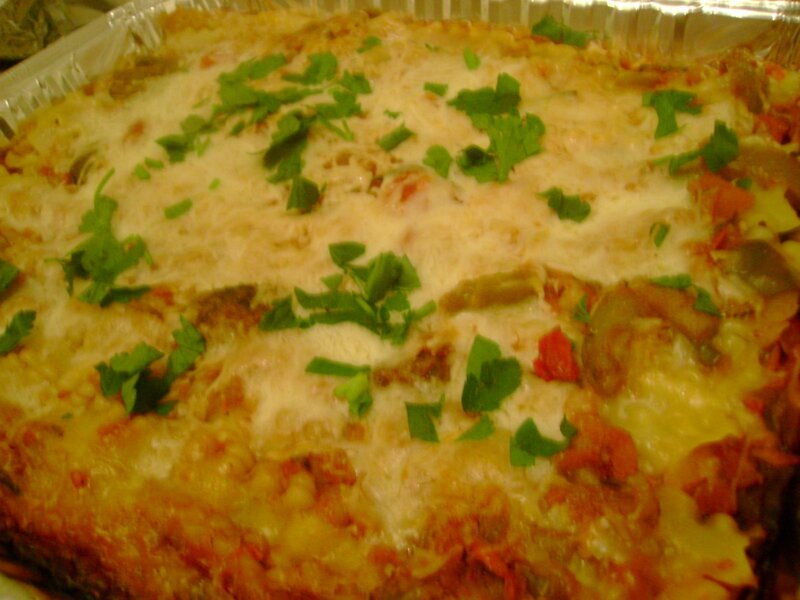 – Place top layer of 3 dry lasagna pasta sheets. – Sprinkle with remaining cheeses. 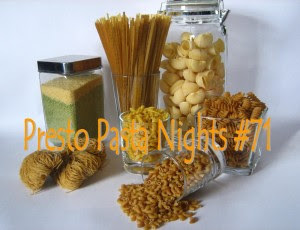 – Bake in preheated oven for 45-50 minutes until pasta is cooked and cheese is golden brown & bubbly. Melt butter in a saucepan over low heat. Whisk in flour and cook the roux, whisking, 2 minutes. Add the half & half and whisk, bringing to a boil over medium high heat. Reduce heat and simmer, whisking occasionally, 2 minutes. Whisk in salt, pepper, and nutmeg. Remove from heat and whisk in cheese, then cover. Heat oil in a 5 to 6-quart heavy pot over moderately high heat until hot but not smoking, then saute onion and garlic, stirring occasionally, until lightly browned, about 5 minutes. Add spinach and saute, stirring, until just wilted, about 3 minutes. Remove from heat and cool completely. Stir together ricotta, egg, parsley, salt, pepper, and cheese in a bowl, then stir in spinach mixture. Spread 2/3 cup sauce in buttered baking dish. Spread about 1/3 cup ricotta filling in a line along 1 short side of 1 pasta rectangle, then roll up to enclose filling. Transfer, seam side down, to baking dish. Make 7 more cannelloni in same manner, arranging snugly in 1 layer. Spread 1/2 cup more sauce over cannelloni and sprinkle with remaining cheese. Bake, covered with foil, in middle of oven until sauce is bubbling, about 20 minutes. Turn on broiler. Remove foil and broil cannelloni about 5 inches from heat until lightly browned, 2 to 4 minutes. Let stand 5 minutes before serving. Reheat remaining sauce and serve on the side. The following recipe was shared at my Chicago Chefs Dinner event. You can read more about it and get additional recipes featured at the event HERE. Heat 1 tablespoon of the oil in a large skillet over medium. When quite hot, add the mushrooms and cook, stirring, until just tender, 3 to 5 minutes. Add the corn and cook for a minute or two longer, then scrape the mixture into a bowl. Return the skillet to the heat without washing it and add the damp spinach. Cook, stirring constantly, until just wilted, 2 to 3 minutes. Scoop into a colander set in the sink and use a spoon to gently press out excess moisture. Let the vegetables cool, then scoop the spinach in with the mushrooms and corn and season with the salt. Pour a little of the remaining oil into a small skillet to lightly coat the bottom and set over medium heat until hot. One at a time, quick-fry the tortillas for a few seconds per side just to soften them. As the oil is used up, add a little more, let it heat a moment, then continue frying tortillas. Drain the tortillas in a single layer on paper towels, blotting them dry with additional towels. Cut the tortillas in half. Heat the oven to 350 degrees. Lightly oil a 13 x 9-inch baking dish. In a medium-size bowl, mix the salsa with the cream or yogurt. Spread a thin layer of the salsa mixture over the bottom of the baking dish, then cover with 8 tortilla halves. Evenly top with half of the vegetables, a scant 11/2 cups of the remaining salsa mixture and 1 cup of the shredded cheese. Add another layer of 8 tortilla halves. Spread with the ricotta and another scant 11/2 cups of the salsa mixture. Top that second layer with a third round of 8 tortilla halves, the remaining vegetables, another portion of salsa mixture and 1 cup of the shredded cheese. For the final layer, evenly lay out the remaining tortillas, spread with the remaining salsa mixture (making sure to completely cover the tortillas) and evenly sprinkle on the remaining 1 cup shredded cheese. Saute garlic and onion in olive oil until softened. .Preheat oven to 350 degrees. Layer baking dish with a small amount of pasta sauce. Add layer of dry lasagna sheet. Add layer of pasta sauce. Repeat layering with top layer of lasagna sheet. Bake covered in preheated oven for 1 hour. My husband has declared my variations to lasagnas to be amazing… however to me, there’s always a new and exciting flavor combination I have yet to master. Maybe my use of bechamel sauces instead of traditional ricotta or even cottage cheese has something to do with it. Regardless, I avoid using ricotta or cottage cheese because it causes my lasagna to have a “watery” effect. Once you have your pasta ready to use, prepare your bechamel sauce. When it starts to brown, sprinkle in flour to make a roux. Stir flour until it forms a slight paste. Slowly add half & half, whisking to combine. When completely incorporated, add spices; stir. Take off heat and fold in mozzarella. Once cheese has melted and combined, you can assemble your lasagna. In a deep baking pan, spread a little pasta sauce on the bottom. Place a layer of dry lasagna noodles to cover. Top noodles with mozzarella bechamel sauce. Add a layer of pasta sauce. Repeat layers until all ingredients are used, ending with a mozzarella cheese layer on top. Bake covered in a 350 degree oven for 45 minutes. 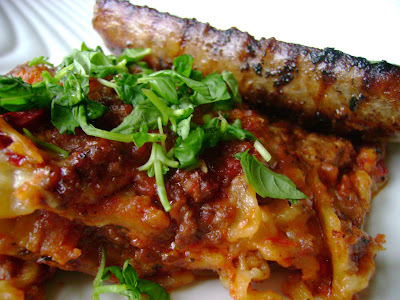 I served this with grilled italian sausage links, sliced lengthwise. Heat 3 tablespoons olive oil over medium in a large pan. Add the onions, garlic, carrots, and mushrooms and cook, stirring occasionally, until the vegetables are tender, about 15 minutes. Place cooked vegetable mixture in your crockpot. In a bowl, combine ground beef, pork and italian seasoning. Mix thoroughly and add the meat mixture to the same pan. Brown meat, breaking up any big chunks of meat. When browned, add to crockpot. Add the remaining ingredients to the crockpot and stir. Cook sauce on low for 6-8 hours. Whisk in the flour and cook until the mixture is creamy and no longer smells floury. Take off heat and slowly stir in shredded cheese. In the bottom of a 13×9 baking pan, grease lightly with cooking spray. Add a tablespoon of the bolognese sauce to the bottom of the pan. Add 1 row of no-boil pasta. Add a layer of the bolognese sauce over pasta. Add a layer of the bechamel sauce. Repeat until you have used up all the bolognese and bechamel sauce. Top layer should end with shredded mozzarella cheese. Sprinkle dried italian seasoning over the top cheese layer. Bake in a 350 oven for 1 hour.